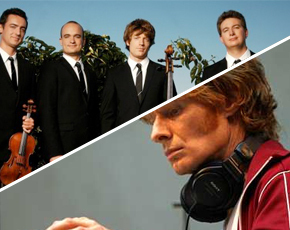 JG Thirlwell’s Manorexia will be playing a rare show on a bill with Californian string ensemble Calder Quartet at Le Poisson Rouge on January 9 2011. Manorexia will be premiering some new arrangements, including some works from the forthcoming surround sound Manorexia album “Dinoflagellate Blooms”. This exciting night of progressive contemporary chamber music is sure to sell out so get your tickets now!